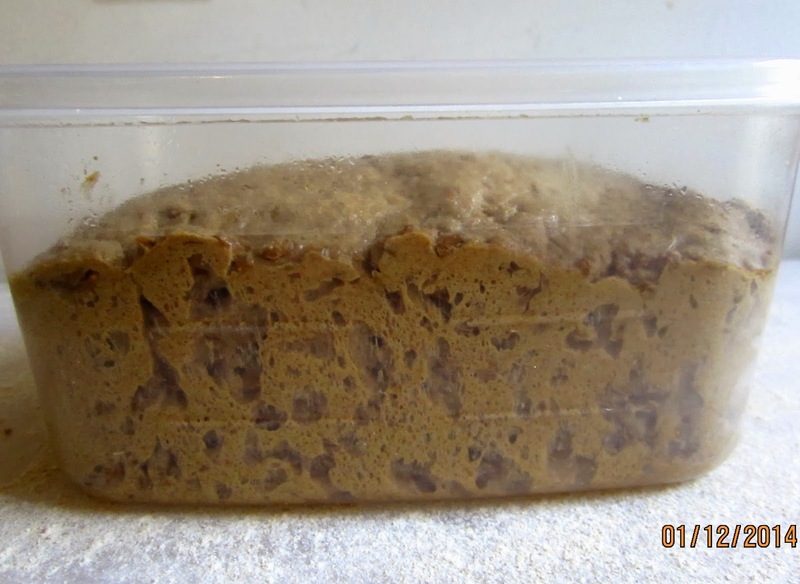 When I started my little home based bakery, I wanted to offer a typical German Schwarzbrot. Though “schwarz” means “black”, a Schwarzbrot doesn’t have to be a 100% rye bread, only most of the flour should be rye. With Peter Reinhart’s pre-dough method from “Whole Grain Breads” in mind, I cobbled together different recipes into one I could work with. Baking this bread often (my customers love it!) I played with the formula around, and, over the years, tweaked it so much, that it became entirely my own. It contains whole rye berries, has a little bit of sweetener, but, also, a pleasant natural sweetness, and it is not artificially colored with large amounts of molasses, cocoa, coffee or other additives. People familiar with my blog know that I’m very much in favor of long fermentation. Breads that are allowed to ripen slowly are much better digestible, and long fermentation reduces the discomfort that gluten may cause for some. But most important for me – the taste of most breads improves significantly if flavors have more time to develop. 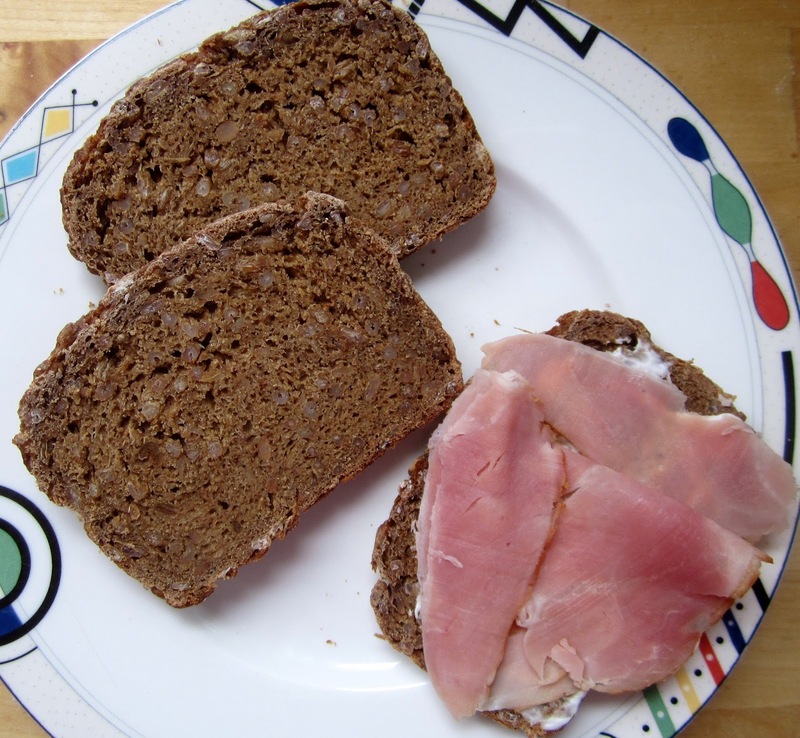 Scarred by my father’s strict enforcement of daily Schwarzbrot consumption as a child – “Schwarzbrot macht Wangen rot!” (black bread makes your cheeks red!) was his motto – I never cared too much for dark ryes. But, overcoming my early Schwarzbrot trauma, I love this hearty, crunchy bread and always bake an extra one for my family, when I make it for my customers. We like it with all kinds of cold cuts, Fleischsalat (German meat salad) and, also with an aromatic honey. 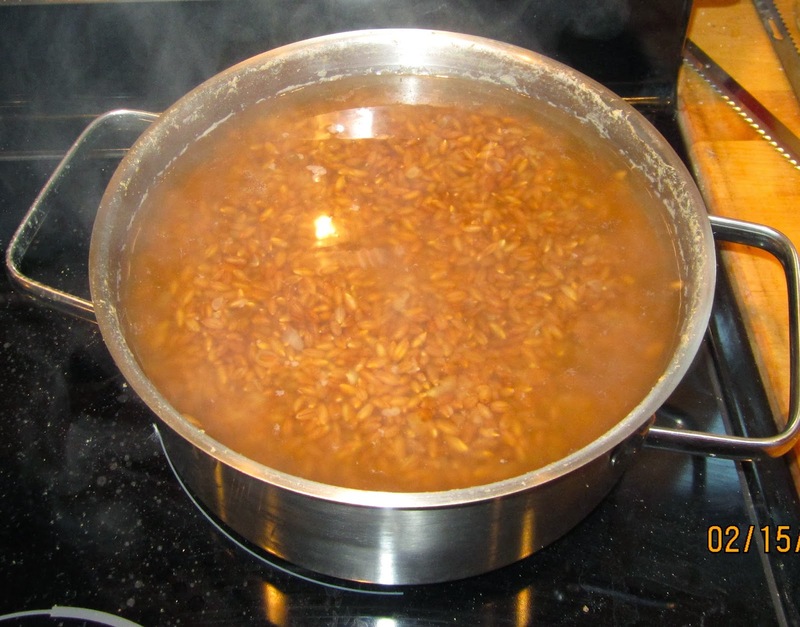 In a bowl, cover rye berries with at least 1 inch/2.5 cm cold water and let them soak for 24 hours. Drain rye berries – reserve the soaking water to water your plants! In the morning, stir together soaker ingredients until all flour is hydrated. Cover with plastic wrap and leave at room temperature. Combine all starter ingredients until all flour is hydrated, then knead (using stand mixer or wet hands) for 2 minutes. Let rest for 5 minutes, then knead again for 1 minute. Cover with plastic wrap and leave at room temperature. In the afternoon, drain soaked rye berries and discard water (I use it to water my plants, it contains a lot of nutrients). Place berries in a saucepan, well covered with fresh water, bring to a boil, reduce the heat and simmer for 30 minutes. In the evening, combine all final dough ingredients in mixer bowl and mix at low speed with paddle for 2 minutes. Continue kneading (paddle or dough hook) at medium-low speed for 4 minutes. Dough will be soft and sticky. Let dough rest for 5 minutes, then resume kneading for 1 minute more. The dough will still be somewhat sticky. 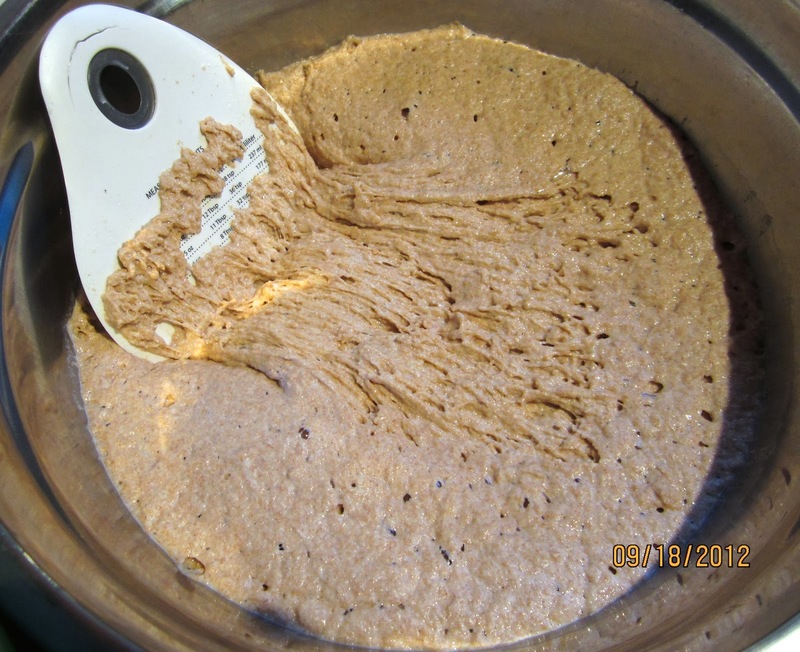 Transfer dough to lightly oiled container. Mist with oil, cover, and refrigerate overnight. Remove dough from refrigerator 2 hours before using, to warm up. Preheat oven to 450ºF/230ºC. 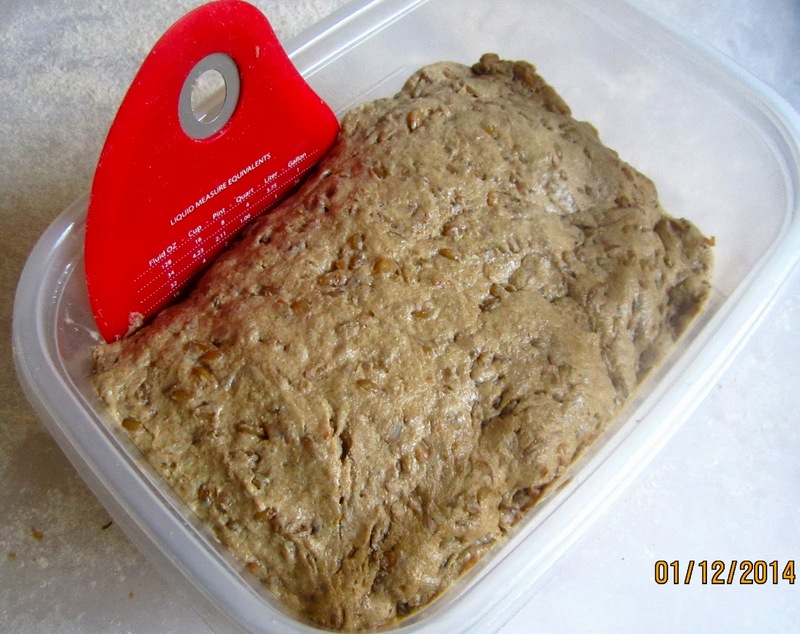 Spray loaf pan (8 1/2″ by 4″/22 cm x 10 cm) with oil. Roll dough into a sandwich loaf and place it into the pan, seam side down. 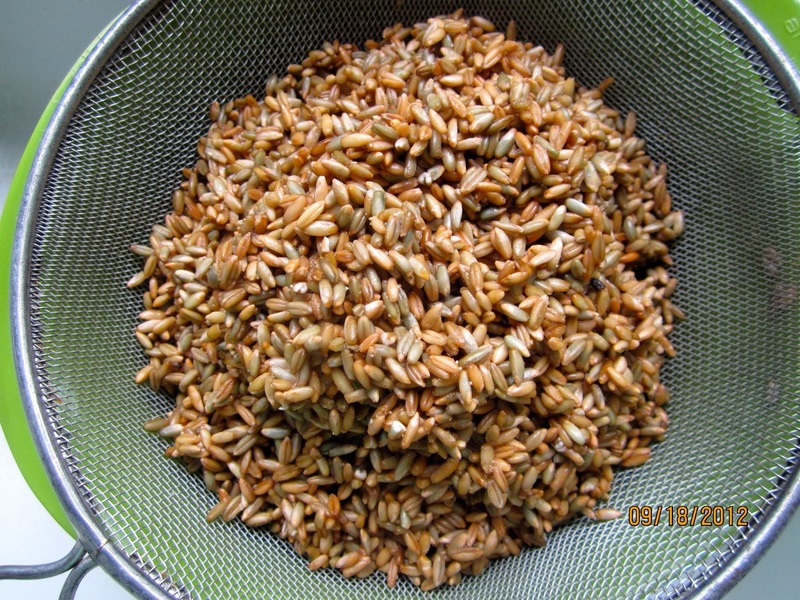 Mist with water, sprinkle with rolled rye or sunflower seeds, pressing them a bit down with your hands to attach, then spray with oil. Cover pan loosely with aluminum foil, don’t let the bread rise anymore! Place pan in oven, reduce temperature to 425ºF/220ºC and bake it for 35 minutes. Take loaf out of the oven, remove aluminum foil, loosen the sides from pan with a spatula, and turn the half-baked bread out onto a baking sheet. Return bread to the oven to bake for about 30 minutes longer. It should be crisp, and register at least 200ºF in the center. Transfer bread to cooling rack, mist with water while hot, and let it cool. For the first 24 hours, keep it in a brown paper bag to allow it to continue drying out and developing flavor. After that, it can be wrapped in aluminum foil. (Don’t keep it in the refrigerator!). 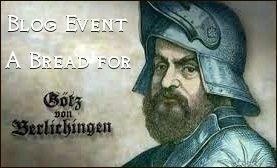 Previous Post DABROWNMAN’S SWABIAN POTATO BREAD FOR GÖTZ – NEVER BAKE THE SAME LOAF TWICE! Versuch das Schwarzbrot mal, es ist wirklich lecker. You are very welcome. I'm sure you will enjoy it, Marion. Ik wens u een fijn kerstfeest! GREAT! since I was not really getting good Schwarzbrot in DEU this will be fun to make! just had an epic windstorm (70-80 mph winds for 12 hours) and finally got electricity back after 3 days. Some are still without after a week. First thing I made was Liensamenbrot from Hammel but I want to do your version next. Thanks! Wohoo! I'm glad you liked it, Marion. Great looking bread. Love rye breads, especially without caraway. 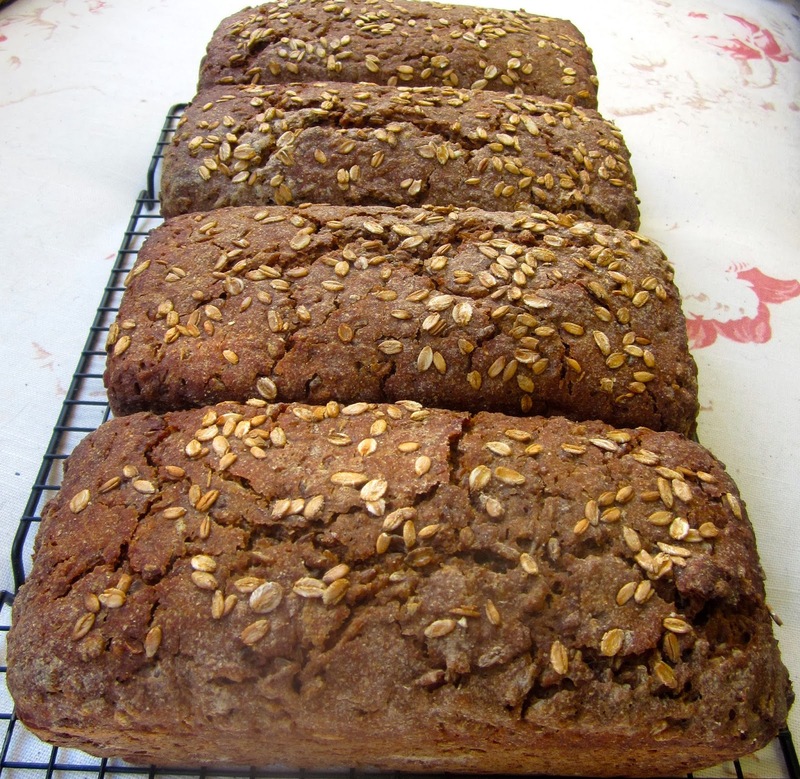 We will be doing a 40% rye bread and a 100% rye Vollkornbrot in our March 12 sourdough rye class. Please continue to put out well written and factual articles. Thank you! How nice that there's a bread baking school in Maine, we really can do with more people appreciating and baking good bread. I agree, American rye breads often have too much caraway. 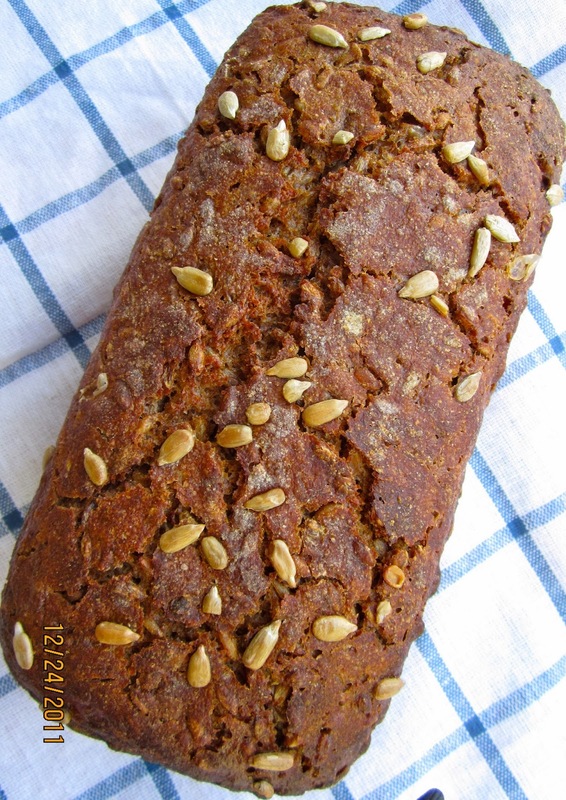 German mixed rye/wheat breads are usually seasoned with bread spices, a mixture of anise, fennel, caraway and coriander, but nothing overpowering. Thumbs up! Good luck, and let me know what you think about it. 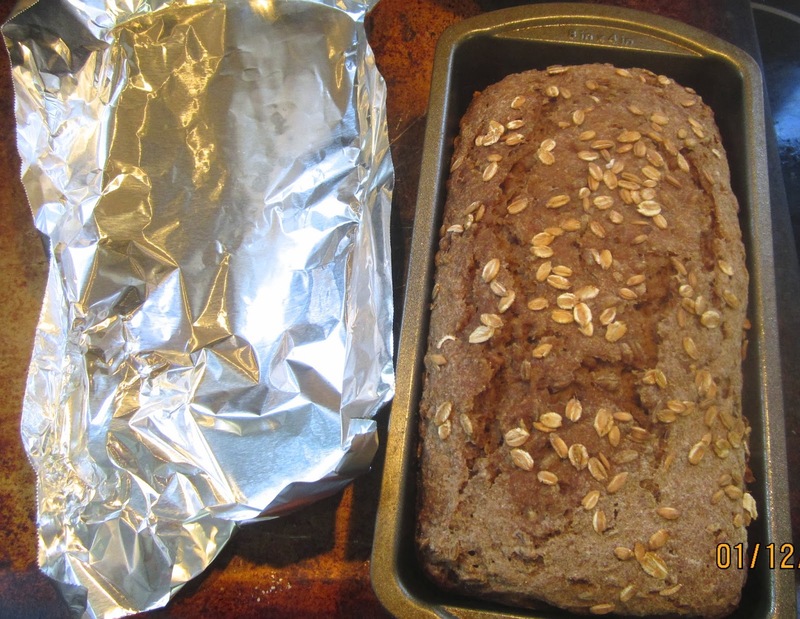 Hi Karin, I just found your blog again via Ginger at Ginger & Bread who recently posted this bread recipe, her adaptation. It looks fabulous. 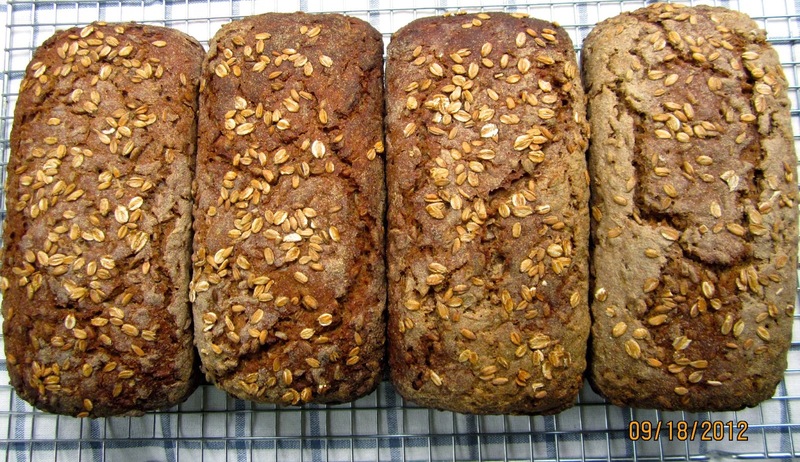 I'm a big fan of sprouted rye bread and we have some great versions in Los Angeles that are more chewy and bread-ey than the packaged loaves you see in markets. Do I see correctly that you actually knead your starter? I've never seen that before! Very interesting. I will have to try this recipe this weekend and let you know how it went. I've been experimenting with a dryer starter, going from a 100% version to a 75-65% version, that decreases with each of 3 feedings. It's been working really nicely for me but I have to see how the kneading works, very curious!!! Thanks again, very much enjoying your blog!! Ginger really did a great job with her adaptation of the Schwarzbrot! Yes, I knead this starter. 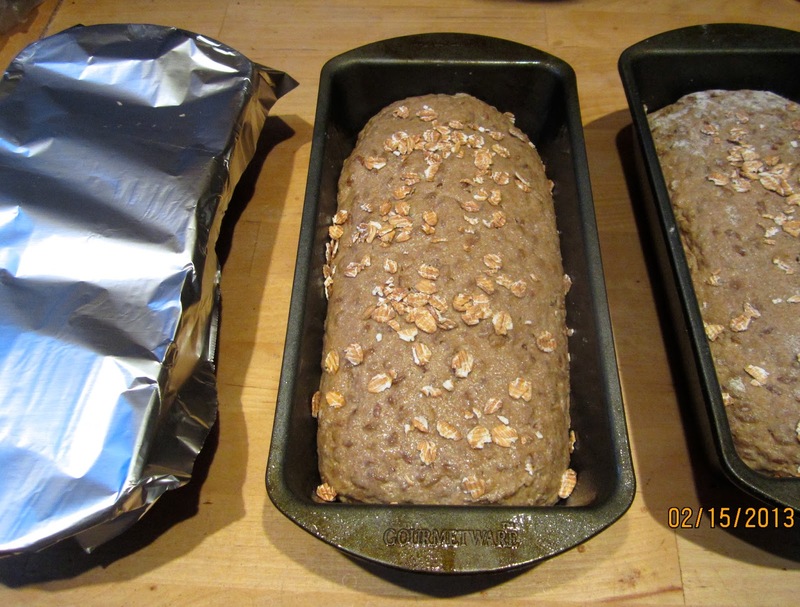 I follow my “bread guru” Peter Reinhart's method (from “Whole Grain Breads”). 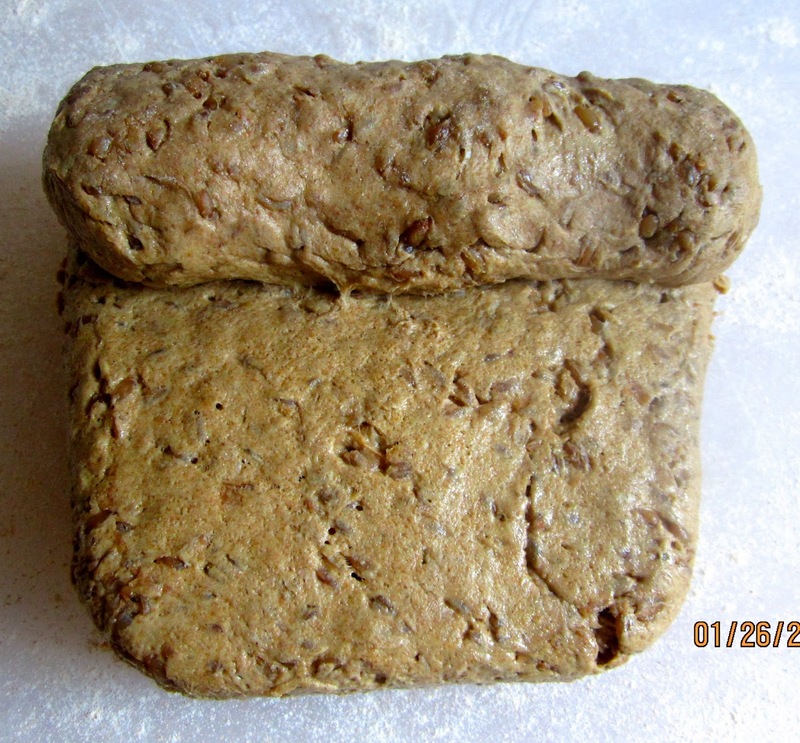 He mixes the 75%-hydration wheat starter like a dough – only kneads it shorter. I assume this gives the wild yeasts an initial boost, with a better distribution in the (a bit dryer) preferment. A stiffer starter keeps longer than a 100% hydration sourdough, you can always adjust the water in the final dough. 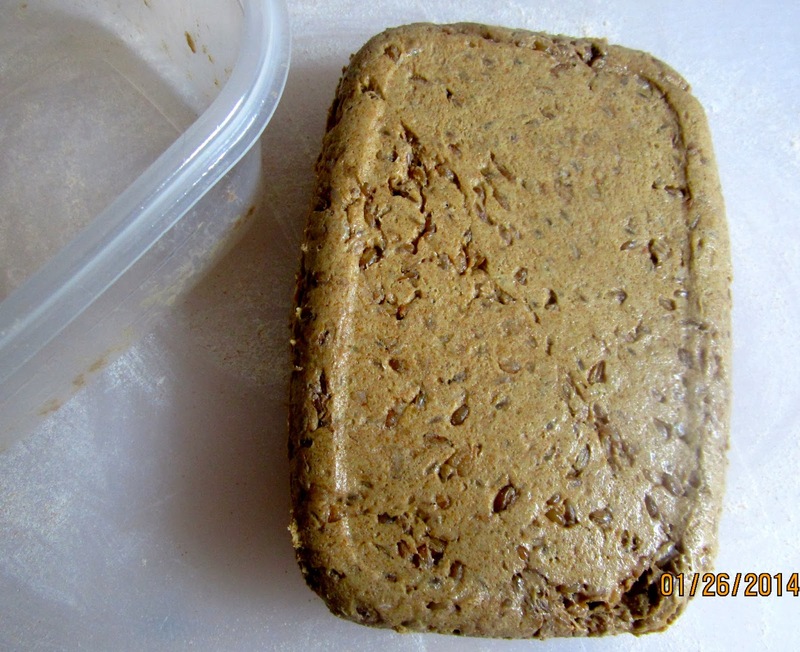 I always have a larger amount of 75% whole wheat starter in the fridge as my default, and smaller amounts of 100% whole rye and 100% white (kefir-based) starters that I use less often (those I don't knead). Good luck with the bread, Sue, and, please let me know how it turned out.